Not only does The Collective run in Raleigh, Durham, Chapel Hill, and the surrounding areas on Ch.24, we now air at 7:30pm, every Thursday night in Durham on their access station, Channel 8. With that time slot, I couldn't pass it up. The "D" Edition stands for Durham, but will have more than just videos, like old movie trailers, documentaries, shorts, and more...along with all the great music videos you are growing to love. In this episode we have music videos from Devendra Banhart, Thom Yorke, Staurt A. Staples, plus a trailer for "Conquest of Space" and the short film, "To Hear Your Banjo Play" (1947) directed by Irving Lerner and Willard Van Dyke. 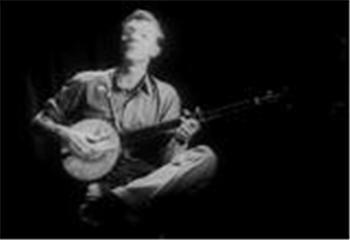 The film presents the origin of the banjo, the development of southern folk music and its influence upon Americans and to top it all off, Pete Seeger plays his banjo and narrates the story. Not to be missed. If you live in Durham County check it out every Thursday, starting tonight 8/24, at 7:30pm.